Rolling into 2019, Yamaha has made some big philosophical changes to the way it is looking at the snowmobile business. For instance, it significantly leaned out and simplified the lineup from 47 unique model codes in 2018 to just 12 in 2019. That will make your job, and the dealers’ job way easier at ordering time. A close look at the offering in North America will reveal that the only Made-in-Japan model hitting our continent is the VK540 2-stroke utility model. However, Yamaha Europe and other non-North American markets will continue to import Japanese 4-stroke models like Venture TF, VK Pro II and Venture MP. That means the factory is still interested in building sleds, but they won’t be imported to the US and Canada this season. Familiar models like Apex, Vector and Phazer do, indeed, seem to be fully retired for this year. 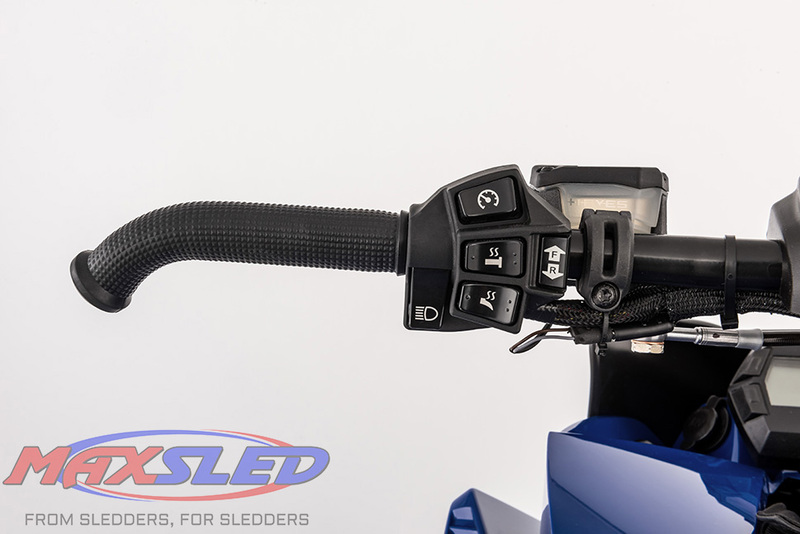 What that means in execution is that the 137-inch LTX variant of Sidewinder is the primary trail sled in 2019. There are a pair of Sidewinder XTX models, a single MTX, and BTX option. Beyond that, Yamaha will offer one Viper LTX and the two youth sleds. 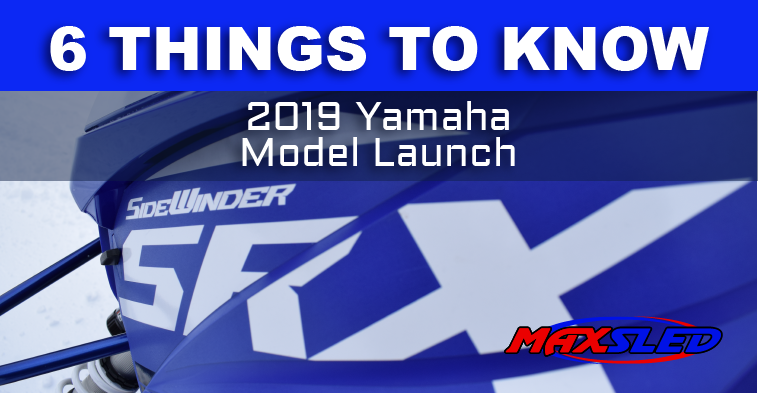 For customers looking to get something different from what’s available in 2019, Yamaha officials say there are plenty of options currently in the dealer pipeline. Expect big incentives to make a new, non-current sled even more appealing. With the lineup distilling down to 12 models, it is important to note that 5 of those are LE sleds, only available by spring deposit. If you want the scorching new SRX, you need to put your money down early. Likewise, if you want any backcountry sled, the MTX 162 and BTX 153 are only available in the spring. Finally, there are LTX LE and XTX LE offerings with loaded component sets. Coming into 2019, Yamaha offers another evolutionary step to the successful original Fox QS3 easy-adjusting shock package: on-the-fly adjustability. There have been plenty of adjustment systems over the years. We’ve seen electric-motor-powered physical mount point adjustments, hand-cranked adjustments, air compressors and more. 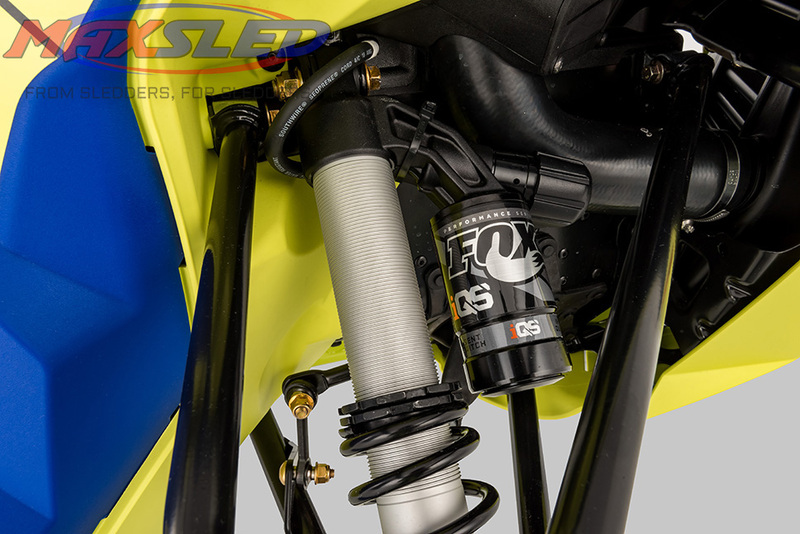 But the simplicity of the Fox iQS shock system is what makes this package so nice. Riders simply select one of three settings, soft-medium-firm, at the left side control block. Done. Easy. No fiddling around with an infinite number of settings. It’s that same simplicity that made the market love the QS3 originally. The new, quick-adjusting suspension system adjusts the front shocks as well as the rear rear shock for a great ride no matter the condition. As a part of the new iQS-enhanced suspension system, the industrial design crew had an opportunity to give the handlebar controls a full redesign, dubbed the “Stealth” controls. The left side control group is tightened up, with the hand and thumb warmer toggle set easily at the center of the control. It also displays the warmers’ intensity on the gauge. A new push button start is located at the top, and the high beam switch is at the bottom of the pod. The iQS adjustment is also managed on the left side. Additionally, there’s a new Hayes brake system on the left hand. The new design has a smaller lever, with a shorter throw. It’s also very easy pulling when the time comes to settle down coming into a corner. The reservoir also had a remodeling. It is now tucked down and better protected in the event of a rollover. Over on the fun side of the handlebar, you’ll find a new, Apex-inspired, slimmer throttle flipper that is more comfortable than the previous one. You’ll also see an independent engine shutoff switch that looks like the rest of the industry. No more toggle switch, the new one is a simple push/pull… hooray! 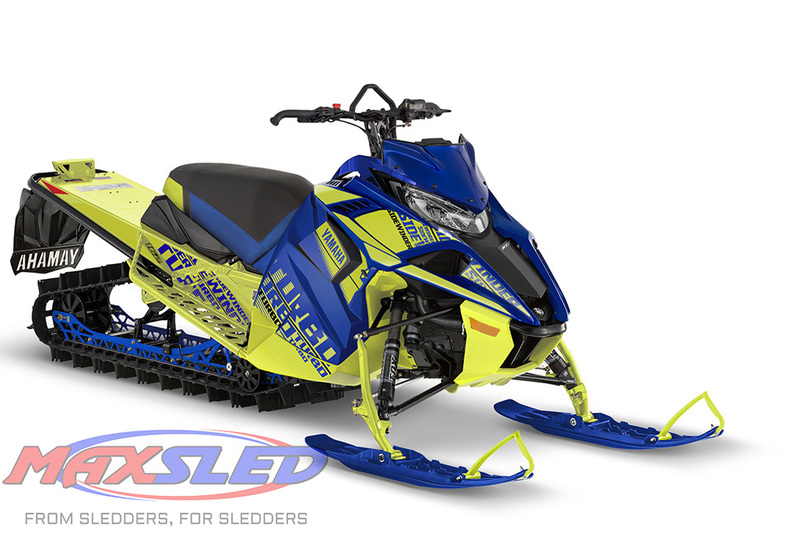 With the absolute retail success of the SnoScoot this season, nobody would have batted an eye if Yamaha had left the model completely alone for ’19. But they didn’t. The tweener sled will have electric start in the coming year. There’s really not much more to the story than that. Now your preteens will be able to get the sled fired up on their own, without pulling it over. We think that’s a pretty good idea. The 2019 SRX is every bit a full-on lake runner as its late-century namesake. Yamaha dropped its ride height to improve the 200+ horsepower muscle sled better aerodynamics at speed. The blue cruise missle also gets a low-profile 1.0-inch Rip Saw track. Lake runners stud the bejeezus out of the track so the 1.25 track is just extra weight and extra fan blade that slows everything down. But if you opt to ride the sled unstudded on the trail, you’ll love the return of powerslide cornering! 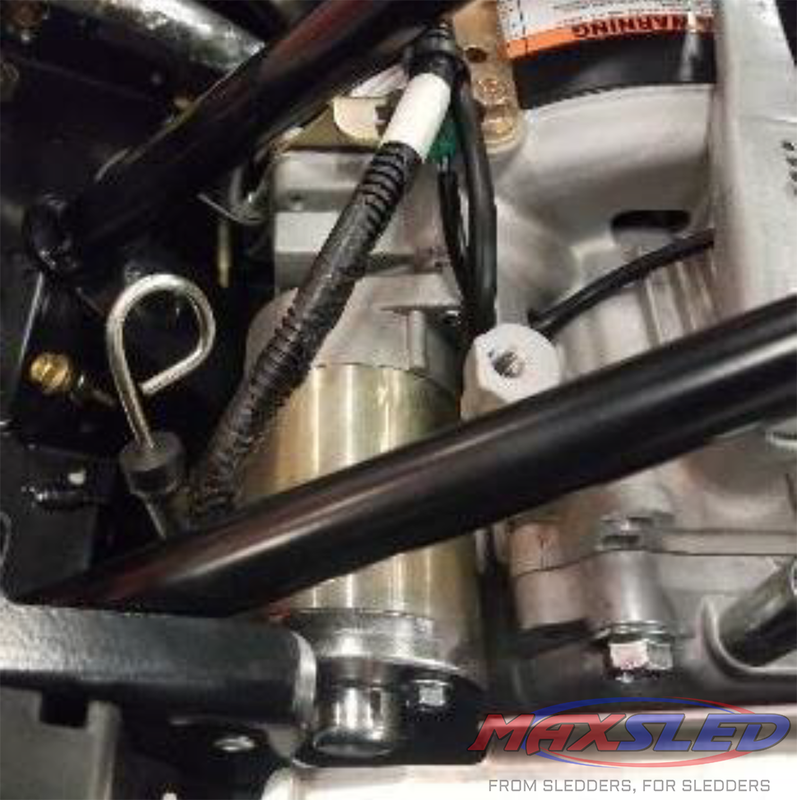 The rear suspension sports a new torsion spring with less initial preload to help the SRX squat menacingly without giving up bottoming control. That’s what we know about the 2019 Yamaha lineup in North America. It’s a slimmer offering, to be sure. Once Spring Power Surge is over, there are only 4 sport options to pick from, plus the kids and utility models. 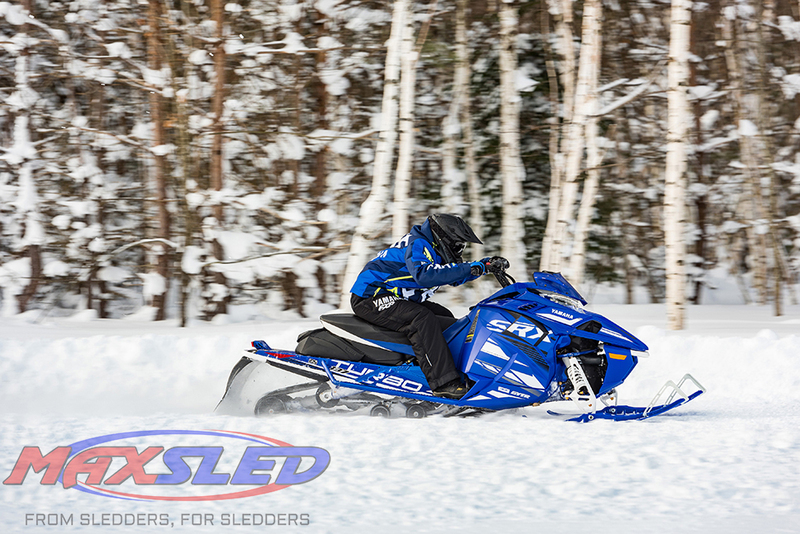 If those don’t inspire you to purchase, take a good look at the new, non-current sleds at your local dealership. There should be some great deals to be had. For more details, visit yamaha-snowmobiles.com or see your local Yamaha dealer.